More winter crafting has been going on over here. Easy winter crafting of course. 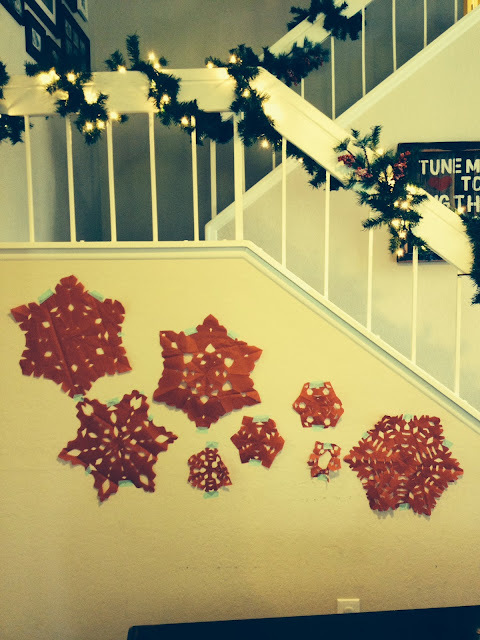 We have been decorating our walls with tissue paper snowflakes. They are super easy and the kids think they are the coolest thing ever. They said that opening them up to see what the design looks like is just like opening a present. And they are so amazed at how each one is different. 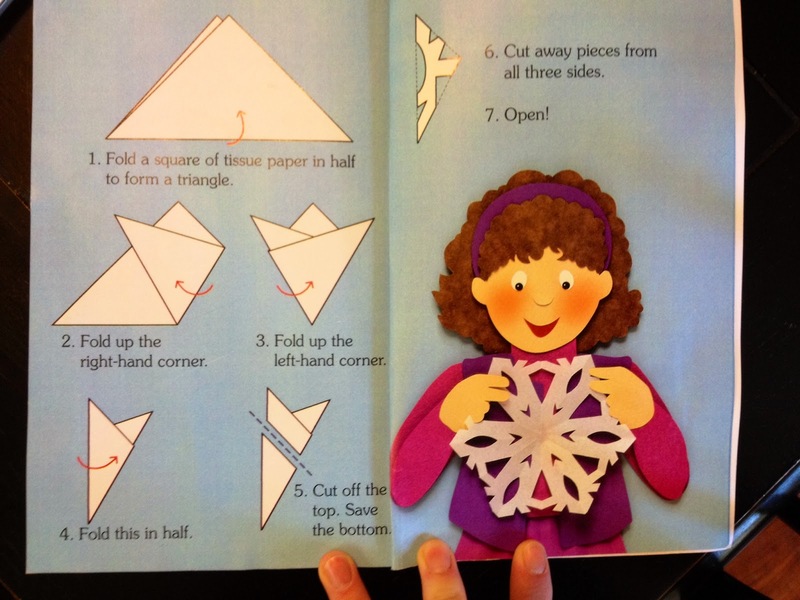 In case you are a little rusty on your snowflake making skills see the step by step pictures above. 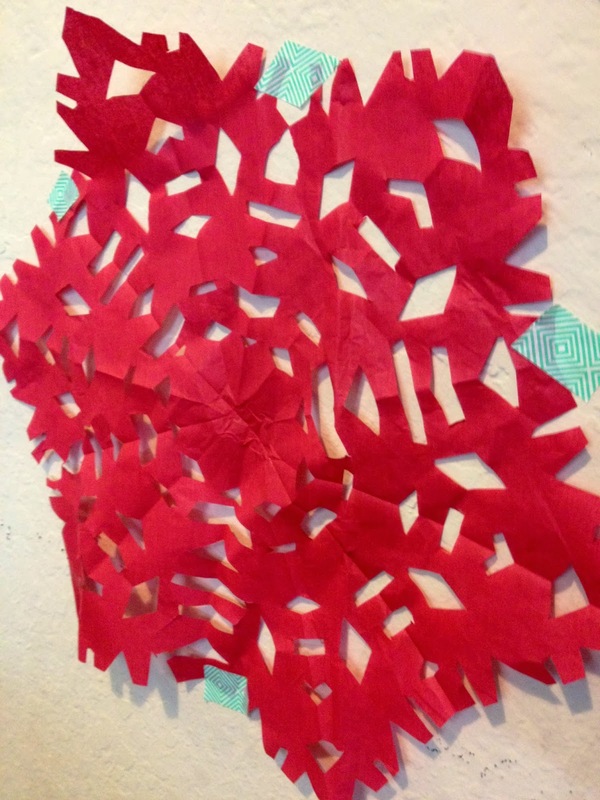 I love making snowflakes. 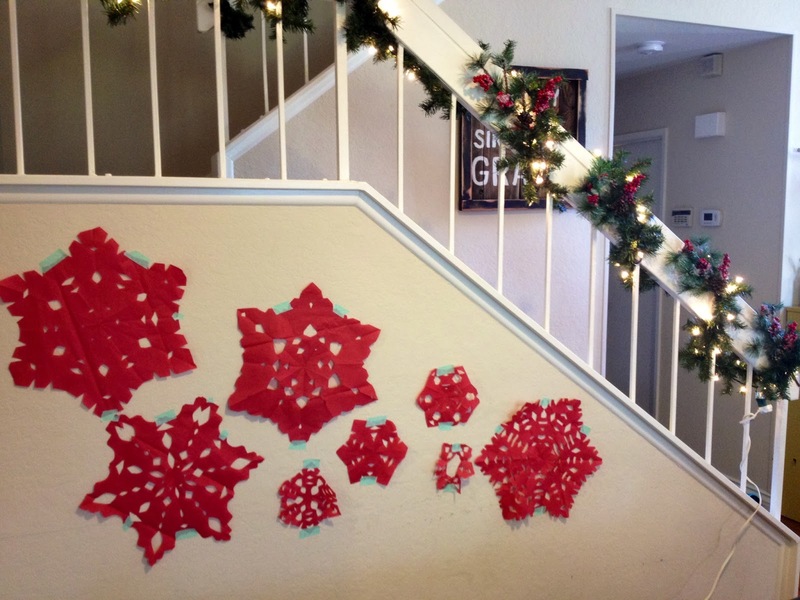 One January I made lots of snowflakes and put them up in my front window.